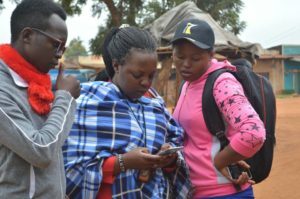 The month of April was bound to be a busy month for the Map Kibera team since we were to conduct a training and mapping exercise in Makueni County. 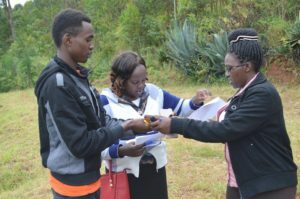 This was in support of the Public Participatory Budgeting program, which is a program in several counties in Kenya allowing citizens to determine collaboratively the spending of a portion of the county’s development budget. Because communities decide on needs and priorities themselves, there was a need for up-to-date maps that could show them existing resources and assist with planning. As well, the counties were in need of maps to show exactly where those projects they had funded were located, and their condition and status. Supported by the World Bank and facilitated by the Makueni County Government, the task at hand was to train the participants in creating maps with the use of various tools for data collection and editing like ODK (Open Data Kit) which is a mobile phone based application, GPS, OpenStreetMap (OSM), Java OpenStreetMap (JOSM) — all of which are very familiar to the team from Map Kibera. On the first day of the assignment 16th April, we were all gathered at Acacia Hotel for the commencement of the training exercise for the participants in the entire mapping exercise. The number of the trainees was around twenty-six and gave us the impression that they were the most capable and devoted persons who were ready to learn and contribute towards achieving the project’s goals. 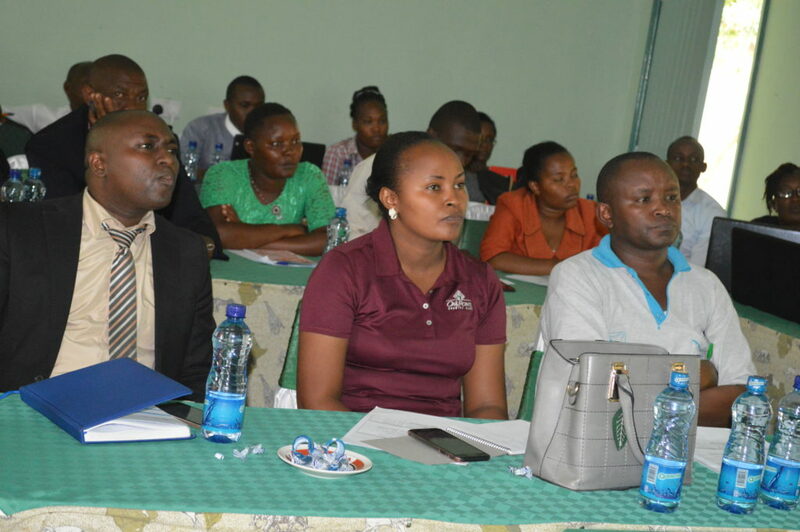 They included Senior County Officials from the Finance and Planning Departments, the county Monitoring and Evaluation team, Interns from the various departments of the County Government, and village administrators. The training started on a good note and Joshua Owino took the responsibility of introducing the Map Kibera Team by showcasing our various successful mapping projects like Open Schools Kenya. From the looks of the audience it was clear that mapping was a new and exciting venture in as far as data management is in the picture. 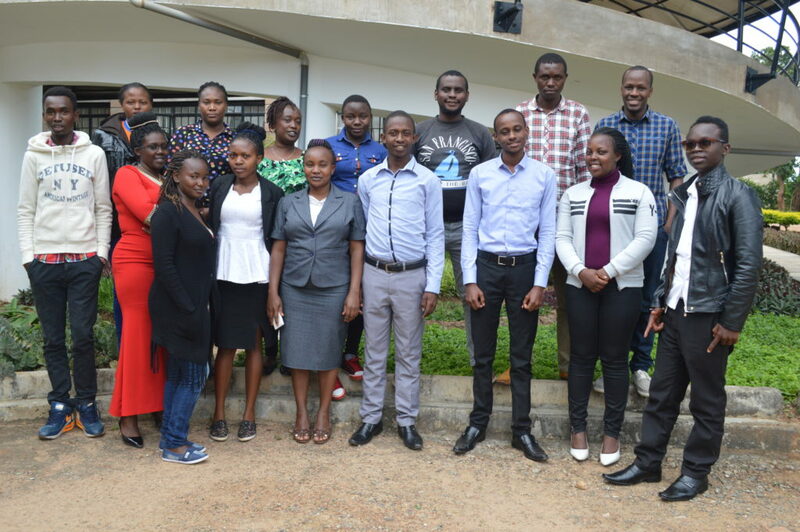 The feedback from the trainees also gave us the notion that they were able to understand the diversity of map data and how the exercise would greatly contribute not only in highlighting the county projects but also the long-term aspect especially in assessments of other programs within the county. With the training in motion, the first week saw the trainees learn about OpenStreetMap, JOSM, the GPS and ODK. The training also involved thorough practical sessions in data collection using the GPS and ODK followed by an editing exercise with the use of JOSM and OSM just to affirm that the trainees were well equipped in using the tools. The first week objectives were fully achieved despite a few hitches especially with the internet connectivity. We tried to relocate to Kusyombunguo Hotel with the hope of accessing better internet service, but this was in vain. 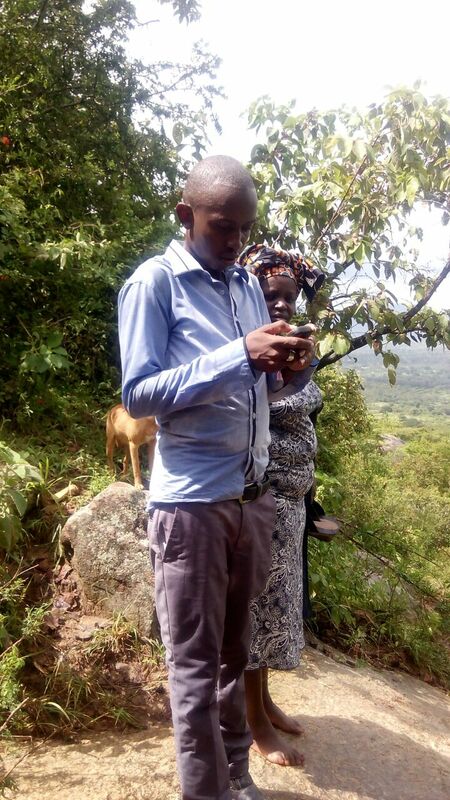 However we all managed to continue with our work with the weak internet signal and surprisingly a few trainees took the opportunity to use their own phones in availing the internet for all to access and complete the online tasks especially while working with OpenStreetMap’s ID editor which is an online editing platform. The long awaited day finally arrived and the field mapping exercise started on the second week 22nd April which was a Monday. Our greatest fear was that the weather would interfere with the week’s program, but all was in place and we were well prepared to adjust our program in the case of heavy rains. The participants were divided into eight groups and assigned areas (villages) to cover in the mapping exercise. We also had to join some of the teams at intervals just to monitor their progress and give them moral support as we shared our field work experiences from previous mapping exercises. 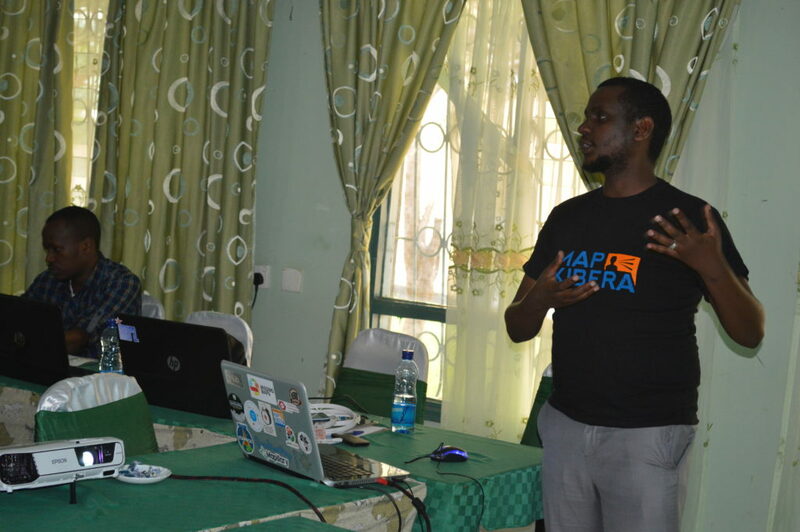 As predicted, the following day saw heavy rainfall hinder our mapping exercise and we had to gather at Acacia Hotel to work on the edits of the data that was collected on the previous day. This was also followed by a lengthy session of reviewing the previous day’s work. A few changes had to be made in order to enhance our work, for example clarification of some areas/villages and features to avoid the teams overlapping and duplication of work. 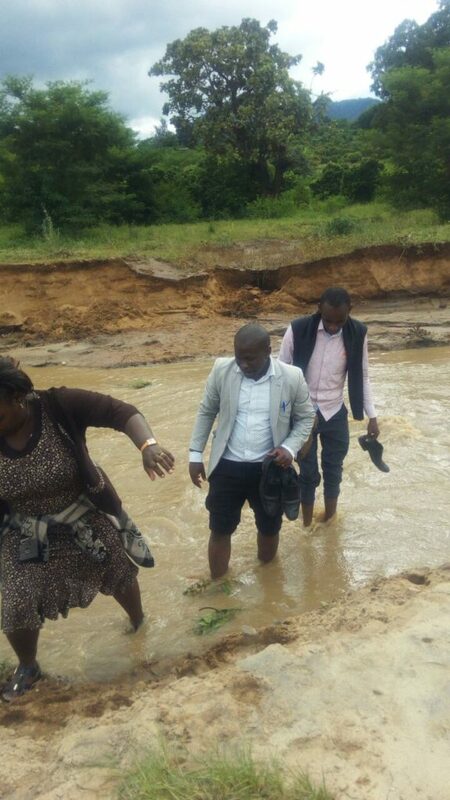 The participants were also urged to proceed with caution since the heavy rains wreaked havoc in some areas. 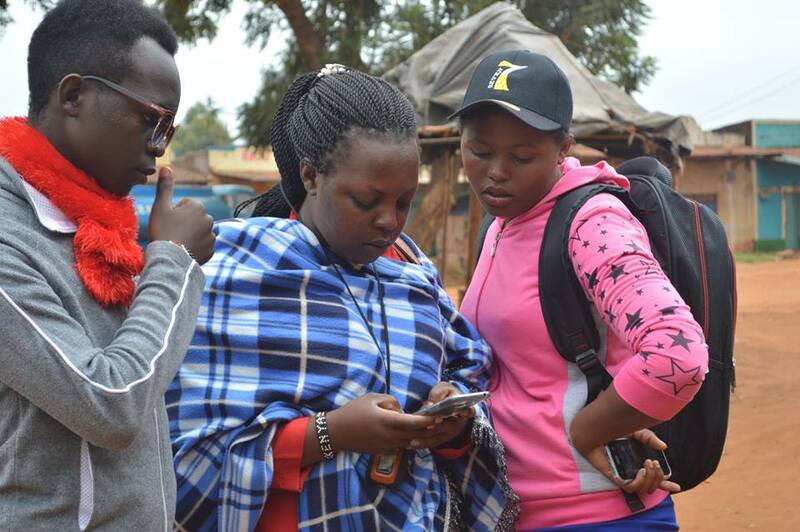 The remaining days were fruitful as the participants had proven that they were thorough in the field exercise and they were also able to edit the data with minimal supervision from the Map Kibera team. However, some of them were not prepared physically for the mapping exercise and we could hear them complaining about exhaustion and muscle cramps. 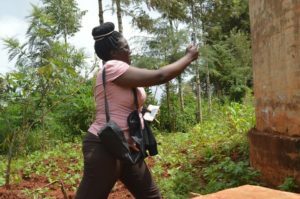 The terrain of the area was also a factor, especially for the team that covered Nziu area which was mountainous and full of streams that they had to cross eventually. 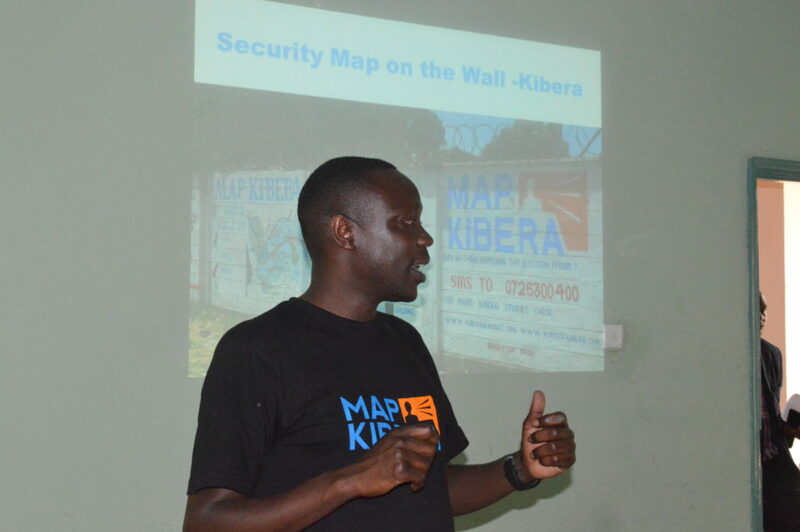 All in all the mapping exercise was quite involving and productive as expected, and it is only through such experiences that people appreciate the work that Map Kibera does in availing data to the public and other interested parties through maps. After the successful work in Wote ward, Map Kibera proceeded to Mbooni Ward to conduct another training to community members/volunteers, despite the work being delayed for two weeks due to the heavy rains as well as the county’s commitment to other activities. The exercise was part of the larger mapping that was in line with the PB program, with the two wards Wote and Mbooni being the target areas for the pilot. The team from Mbooni was comprised of seven youth residents of the ward — three young women and three young men and their leader who was also the sub-ward administrator for Mbooni ward. To facilitate the exercise, six members from the previous mapping exercise in Wote ward joined their counterparts in Mbooni. The added personnel would be key in covering more ground and hastening the field exercise that was scheduled to start on Friday 18th May on the same week. 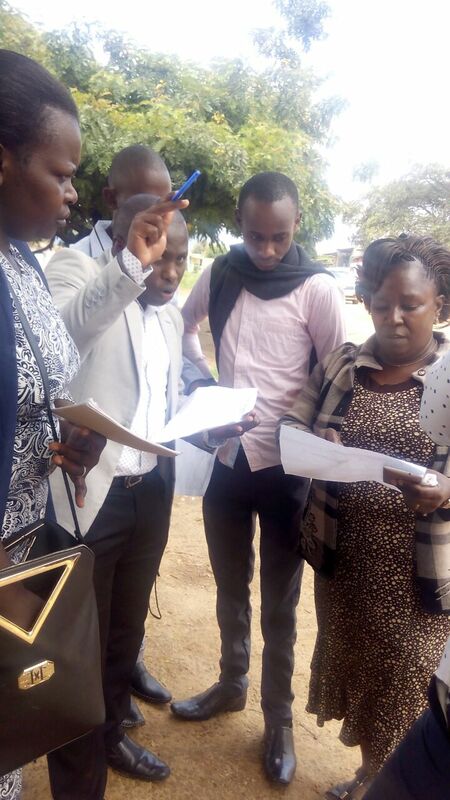 With everything in place, the training went on well on the first day and the team of seven from Mbooni ward were quick to grasp the exercise as shown by their time keeping and response to the short data collection exercise they conducted that afternoon. 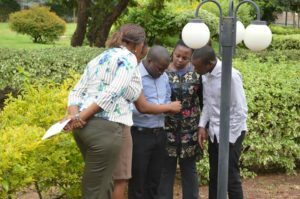 We managed to conquer the challenges faced on the second day of training and the team from Mbooni had a chance to prove that they had leant something from the two days of training. 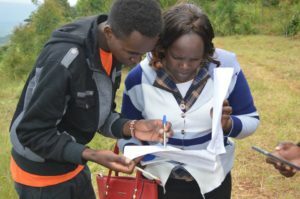 The big day had finally arrived and six teams comprising of both participants from Wote and Mbooni wards were assigned different villages to cover. This mapping exercise was able to benefit from learnings from the previous exercise in Wote, with an emphasis on the allocation of villages to avoid the possibility of overlapping and teams mapping the same features. This was made simple by the ward and village administrators who were thorough in their coordination efforts, and they also went further to alert the authorities and village elders who would offer more assistance to the mappers on the ground. The day came to a successful end. An extra day was added in order to allow for more time for the mapping exercise to be completed. Elizabeth (in white), Kyuu/Nzeveni sub-ward and the current acting Mbooni Ward admin, assisting the team in the field to locate the points. Mbooni is a hilly place that is riddled with hardship and it appears dry and surprisingly cold even during the day. The team from Mbooni were well aware of this and were it not for their wardrobe advice then the rest of us would be toast. On Monday 21st all the teams met at the sub-ward administrator’s office prior to the mapping exercise. We had a short recap session and the teams were sent out to complete the remaining areas. We also came to realize that Mbooni is well endowed with natural resources and beautiful scenes that would distract you in the field. The presence of more than five dams, rivers as well streams was a clear indication of the bounty resources in the area. Another thing worth noting were the planted forests in the place, for harvesting wood. Ruth, one of the trainees taking a photo of a point. The mapping exercise came to an end on Tuesday 22nd, with all the teams having exhausted all the features that had to be mapped in the area. 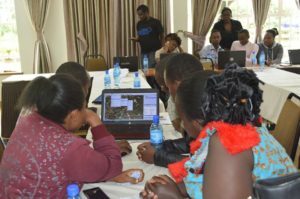 After the intensive three day field work, the teams were ordered to meet at Kusyombunguo Hotel on the following day for data editing. The editing session at Kusyombunguo Hotel went smoothly with minimal intervention from the Map Kibera team since the team from Wote and Mbooni joined forces in editing their work. At this point they were all well conversant on using JOSM. 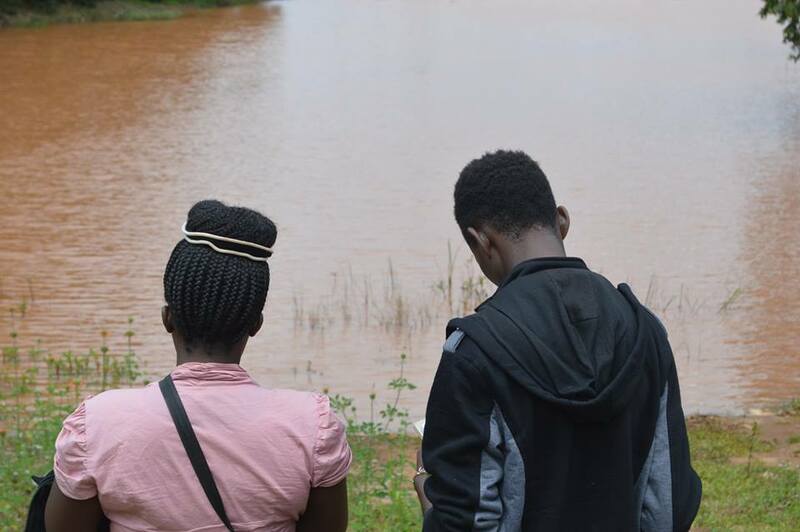 This was also a great time to reflect on the their experiences during the mapping exercise with most of them citing the treacherous routes they would take in order to reach areas that were inaccessible by both vehicles and motorcycles. Funny enough, the team from Mbooni never really complained about physical exhaustion unlike the rest of us, maybe we had not faced half of what they usually face on a daily basis. The end of the editing exercise was marked by a group photo shoot and we bid each other goodbye. 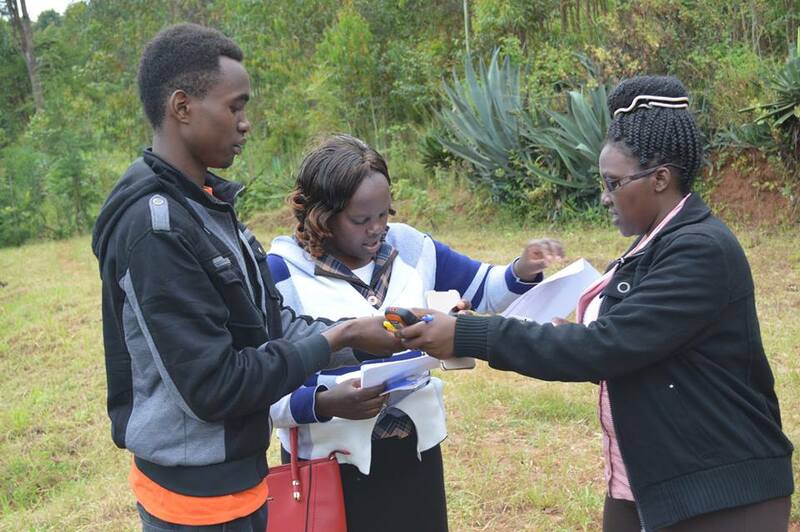 You are currently reading Citizens and Government Map Makueni County at Map Kibera.